The monastery of Karakal is dedicated to the holy apostles Peter and Paul. 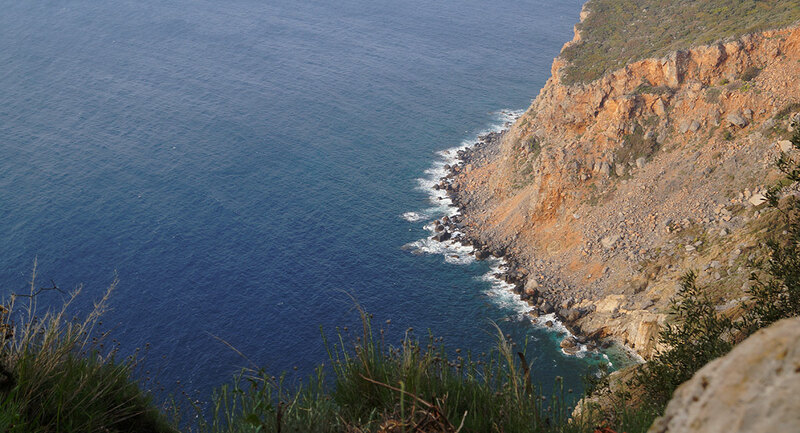 The monastery is located high above the sea, on the gentle slope between the Great Lavra and the Iberian monastery. 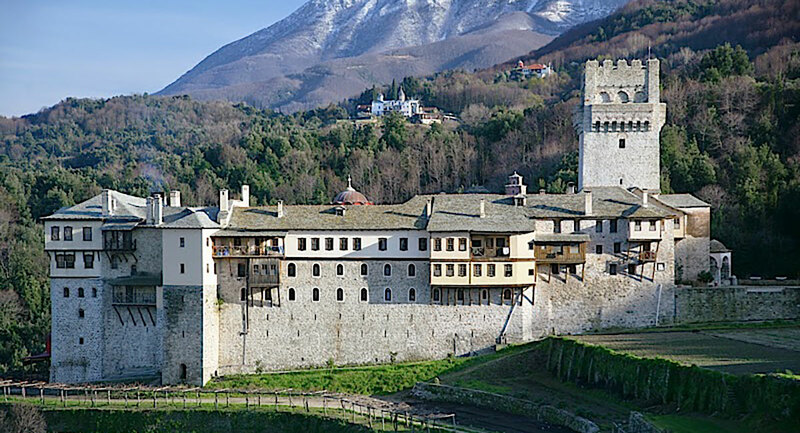 The architecture of the monastery is traditional for the Holy Mountain, but the first thing that catches your eye is the huge tower, vineyard and citrus garden. Little information saved about the construction of the monastery. The first mention of it appears in manuscripts of the XI century, but the name of its founder remains unknown. One of the modern versions of the foundation of Caracal says: first it was small monastic community, by the beginning of the XI century it had grown to the size of a large monastery by the efforts of a monk named Caracal. The monastery was never particularly rich. In the XV century, he suffered greatly from pirate raids and was restored only a century later by Valachian prince John Peter Rares, whose daughter Roxandra bought the estates occupied by the enemy and returned them to the monastery. Her husband, Alexander IV, Prince of Valah, took of monastic vow with the name Pachomius and spent the rest of his life on the Holy Mountain. 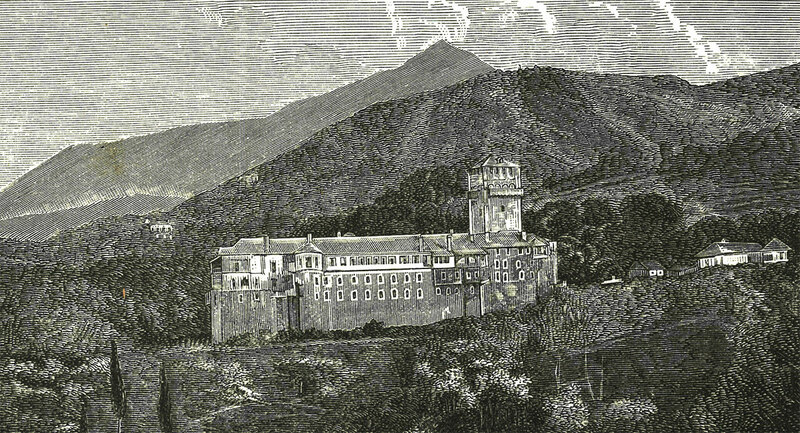 Like many other monasteries, Karakal took part in the struggle for the liberation of Greece from the Turkish yoke. In 1854 hegumen of Karakal, Father Damaskin, presented the magnificent horse to leader of the Greek partisan movement Tsamisu Karatasos, for which he was expelled from the monastery by the Turks. The cathedral church was built in honor of the apostles Peter and Paul in the XVI century and renovated in the XVIII century. In addition to the cathedral of Caracal, there are seven other churches and chapels and eighteen cells outside it. In the monastery there are many holy things, including the parts of the Cross of the Lord, the relics of St. John the Baptist, St. Ignatius the Great, St. Andrew the Martyr, St. George the Martyr Tryphon, St. Paraskeva and St. Barbara, and the head of St. Christopher and the power of the Holy Martyr Gideon, a monk who was tortured in Bulgaria. In the iconostasis of the cathedral church there is a most valuable icon of the 12 Apostles of the work of Dionysius, the hieromonk of Agraf. The library contains 280 manuscripts, a scroll of liturgy, about 2500 printed editions. Now in the monastery there are 30 monks.